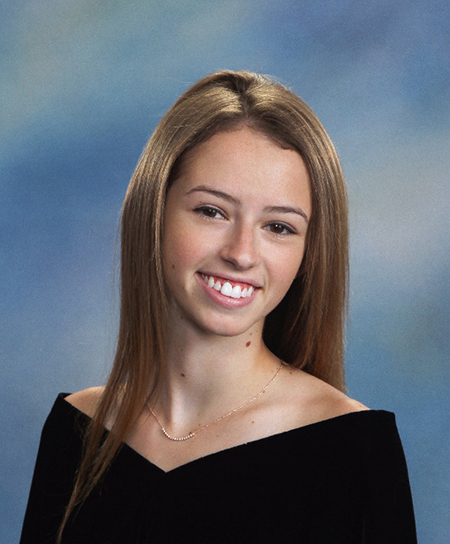 Providence Day School senior Haley Ritchie has been named a recipient of the Park Scholarship from NC State University. The Park Scholarships program brings exceptional students to NC State University based on outstanding accomplishments and potential in scholarship, leadership, service and character. "I am incredibly honored to be chosen as a Park Scholar," said Haley. "I am so excited about the opportunities and community the Park scholarship program and NC State will provide for me over the next four years. Go Pack!" The four-year scholarships, which include tuition and fees, room and board, enrichment activities and additional expenses, are awarded to outstanding high school seniors for undergraduate study in any discipline at NC State. Haley, who plans to major in biomedical engineering, is one of 39 recipients selected from nearly 2,150 candidates from across North Carolina and the United States. Haley is a National Honor Society executive, cross country captain and a recipient of the Lemelson-MIT InvenTeam grant. Through the grant, Haley and a team of nine female students, developed several prototypes of a pedal desk that could be used to generate electricity for classrooms in poverty-stricken communities around the world. The group’s invention was selected and showcased at a design fair at MIT and was featured on Katie Couric’s talk show. Haley has spent her last four summers volunteering/interning with McClintock Partners in Education and Freedom School Partners where she has provided high-risk students opportunities to learn and love science and reading.